Ryan Edward Theriot, 36, 212 Hebert St. Berwick, La., was arrested March 21, 2019, at 9:04 am for expired or no inspection sticker and a warrant for driving under suspension. A deputy was patrolling the area of Highway182 near Renwick Blvd. in Berwick, La when a vehicle was observed with an expired inspection sticker. A traffic stop was conducted and Theriot was identified as the driver. A background check on Theriot revealed his license was suspended. Theriot was issued a summons to appear in court for June 19, 2019. Lashonta Lumpkin, 26, 312 Martin Luther King Blvd., Franklin, La., was arrested March 21, 2019, at 12:52 pm on a warrant for theft by shoplifting. Lumpkin turned herself in at the St. Mary Parish Sheriff’s Office on the above mentioned warrant. She was transported to the St. Mary Parish Law Enforcement Center for booking. She was released on a summons to appear in court on June 19, 2019. Tyrone David Jackson, 35, 602 Trowbridge St., Franklin, La., was arrested March 21, 2019, at 4:08 pm on a warrant for failure to appear for disturbing the peace by fighting. Jackson turned himself in at the St. Mary Parish Sheriff’s Office on the above mentioned warrant. He was transported to the St. Mary Parish Law Enforcement Center for booking. Bond was set at $1,000. Male Juvenile, 17, was arrested on March 21, 2019, at 8:35 pm for terrorizing. Deputies responded to a location on Highway 182, in reference to a person making threats to others. After further investigation, the male juvenile was arrested and charged with terrorizing. The juvenile was released to his parents pending juvenile court proceedings. Micah Mitchell Scott, 21, 2109 Chatsworth Rd., Franklin, La., was arrested March 21, 2019, at 9:11 pm on a warrant for domestic abuse battery. Scott was located at the St. Mary Parish Courthouse and turned himself in on the above mentioned warrant. 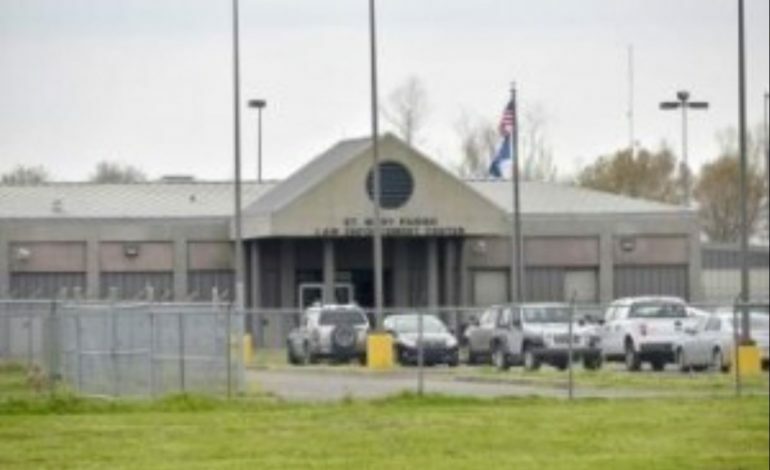 Scott was transported to the St. Mary Parish Law Enforcement Center for booking. No bond has been set. Verelyn B. Cannon, 60, 1017 Ciro St., Siracusaville, La., was arrested March 21, 2019, at 8:40 pm for no turn signal, general speed law, possession of schedule II (Crack Cocaine) with intent to distribute, transactions involving drug proceeds, and violation of uniform CDS law in a drug-free zone (Church). Conley Jones, 69, 1366 Joseph St., Siracusaville, La., was arrested on March 21, 2019, at 8:40 pm for conspiracy possession with the intent to distribute schedule II (Crack Cocaine), and possession of drug paraphernalia.